Apple’s iCloud defines most of the things we do on our iDevices. It defines all we do on our iPhone. If you got a used iPhone but it still linked with someone’s Apple ID, what can you do about it? Anyways, to the matter at hand, unlinking apple ID from a used iPhone, this used to be a difficult thing to do some years back. So, what could make one want to unlink Apple ID from a used iPhone? How can you unlink Apple ID from a used iPhone even when you don’t have the password? 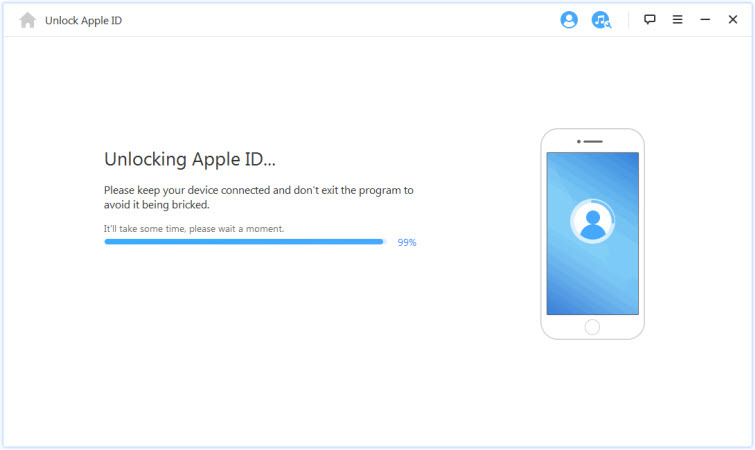 You may want to unlink your Apple ID from a used iPhone, so you can use it on your new phone. Or you may get a used iPhone but it’s linked with someone’s Apple ID, then you will need to remove it. If you know the password of it, then everything will be easy. However, if you don’t have the password, that may be pretty difficult. But not to worry, one easy way to go about that is using the iMyFone LockWiper . 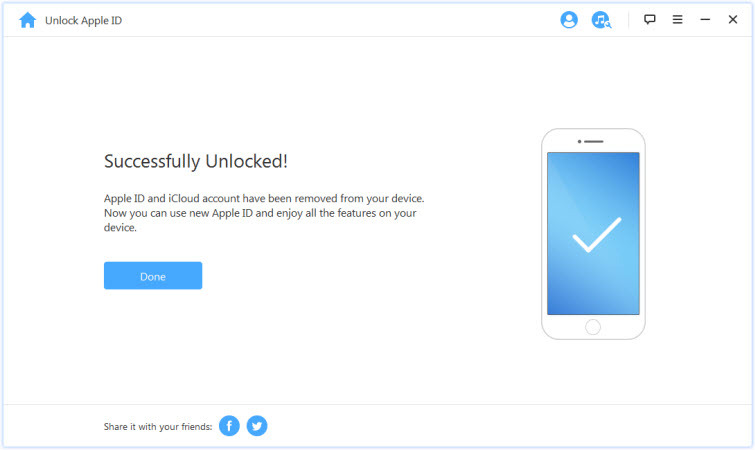 With iMyFone LockWiper, you can easily unlink or remove the Apple ID/iCloud account from a used iPhone without even knowing the password of it. It is a program that you can download on your computer or Mac, and use it for your device. You can just do this by yourself, and it will help you remove it in just minutes. 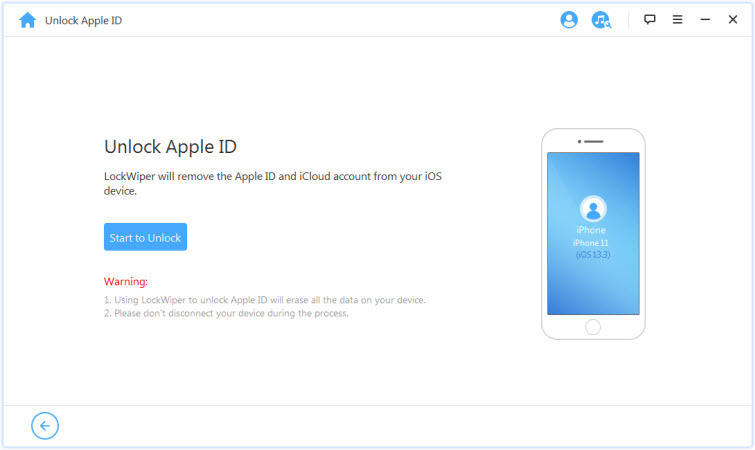 With this tool, you can remove Apple ID without the need of password with ease. 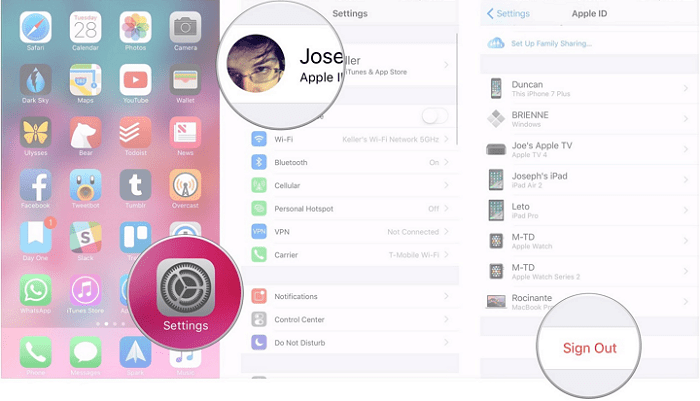 After removal you can enjoy all the iOS features and iCloud service on your iPhone. To use the LockWiper, you don’t have to be technologically savvy. There are some certain things you need to put in place, from installing the App on your PC and already trusting your iPhone with your PC. Once you’ve put that in place, then we can start making use of the steps. Step 1. The first thing you should do is to Download, install and launch iMyFone LockWiper on your PC, then, connect your iPhone to your PC using a USB chord. Step 2. The next thing you should do is to choose the “Unlock Apple ID” mode from the interface displaying on the Home page. And the click “Start to Unlock” to begin. Step 3. Doing this will begin the unlocking process on your iPhone. Step 4. After a second, your Apple ID will be removed successfully. Note: it is important to note that the software only supports those already activated devices. It did not support the iCloud activation lock. We all know that your Apple ID is the account that you need if you want to access some Apple Services. In a situation where you have the password, this would make things easier. But there are two ways to this. Step in iOS 10.3 or later. Step 1: Select Settings from the option. Step 3: Navigate down and click Sign out. Step 4: Enter your Apple ID password and then tap on Turn off. Step 5: Tap Sign out again to confirm that you choose to sign out of the account. Step in iOS 10.2 or Earlier. Step 1: Navigate to Settings to iCloud. Step 2: Click on Sign out. Step 3: Next, tap “delete from My iPhone”. Step 4: Tap on Delete or Keep for the data on your Phone. Step 5: The Final step is to enter your Apple ID password and tap the “Turn off” link. Chances are you are currently using the iPhone for official purposes. You were logged in to the company’s iCloud or Apple platform and now, you’d like to use your own personal account. You used to share an account with a family member and for one reason or the other, you no longer feel comfortable with that and would love to use your own account. Lastly, you just created a new Apple ID account and due to the email address, you previously used with the original is no longer valid - What you have to do now is to first delete the old account. You get the phone from someone else and you want to use your own or create a new one, so you can use the phone fully. Ok, now you have a tenable reason for wanting to unlink the Apple ID from a used iPhone. But before you go ahead, there are some things you need to consider, before taking these steps. The first thing you want to consider when you sign out form the account is that it will result in you been signed out of the Messages, Facetime and the App store too. You should make sure that you back up the data you used on the iCloud. This would include mail, contacts, photos and any other file you have stored on the iCloud drive. This would also mean losing access to some other services. To continue using that service you’d have to sign in, probably with another account. However, if you did not own the Apple ID but just need to unlink it from the phone, then you can just go directly to remove it without worrying anything. At the end of it all, nothing should stop you from unlinking Apple ID from a used iPhone. The best way to do that on a final note is using the iMyFone LockWiper. This is by far the easiest way to go about it.